With 2016 coming to a close, T-Mobile has decided to share an end of year update on its network. T-Mobile CTO Neville Ray revealed today that T-Mo’s LTE network now covers 313 million people. To compare, T-Mobile reported its LTE coverage was at 312 million people back in October and 304 million at the end of 2015. 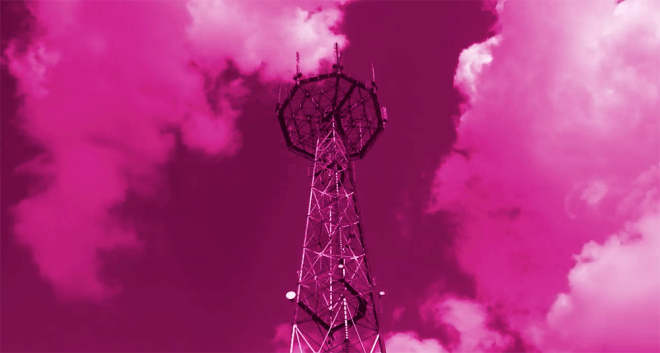 Extended Range LTE coverage has grown, too, with 250 million people in 500 metro areas now able to access the improved reach and building penetration of T-Mo’s 700MHz network. This stat is up from 225 million people in October. Finally, T-Mobile has given us an update on Voice over LTE (VoLTE) usage on its network. Sixty-four percent of all T-Mo calls are now made over VoLTE, up from 60 percent in September and 40 percent at the end of 2015. Also included in today’s report is a look ahead. Neville Ray touts that T-Mobile “will absolutely be first to Gigabit speeds,” and he teased that with a video that shows T-Mo achieving nearly 1Gbps LTE speeds in the lab using three-carrier aggregation, 4×4 MIMO, and 256 QAM on a mystery unreleased handset. While this test was performed in a lab, it is an impressive speed to reach on LTE. Ray also touched a bit on 5G, which he admits is still a few years away from being relevant to consumer mobile. In its testing, T-Mobile has achieved 5G mobile speeds of 1.8Gbps, 8×8 MIMO, and four simultaneous 4K video streams. It remains to be seen exactly what 2017 will hold for the Un-carrier, but we won’t have to wait long for T-Mobile’s first big move of the new year. On January 5, T-Mo and John Legere will reveal Un-carrier Next. I’ll guess I’ll be the first. They need to focus on rural areas, too. I’m tired of being without coverage when I travel. My chief complaint with Tmo. It isn’t T-Mobile needs to allow roaming on ATT its ATT allowing T-Mo to roam on their network. If they say no it doesn’t matter what T-Mo wants to do. As long as T-Mobile pays then AT&T will allow it. AT&T is in the Business of making money but T-Mobile probably can’t afford to roam on AT&T’s network. quite confusing all this. Really. If you don’t have WiFi, in most places doesn’t exist signal. area where I live I recieve edge or gsm or barely available signal for just voice call. Raised the issue for ten years, always it is in the plan. So, my take away, all the good speed seems to exist only in the plan. Good call, TMo rural coverage is so horrid it would be awesome to piggy back off of others. From Utah to Vegas once you get past all the town and it get rural with a town every so often there are so many dead patches and that’s along I-15 the freeway, ridiculous. When I first got T-Mobile which was Voicestream there was a stretch of about 3 hours where there wasn’t service at all along the same I-15 part to Vegas, from Payson to St. George you had no service at all that was in 2002 so of course it’s better now but still a lot of holes and even if you have data it’s Edge. I agree fully why roll out gigabit when so many places don’t have coverage at all. They are using AT&T (2G service only) if there is no T-Mobile coverage available. I’ve noticed it is sometimes flakey though. Particularly in areas that flip between LTE channel 12 and 2G AT&T. Toggling airplane mode seems to work though. Unless I’m in the middle of the rocky mountains, there is generally at least 75% T-Mobile coverage any rural area I travel to across the country. I think only one trip this year I had almost no coverage in a rural area. I don’t recall what state it was in. I understand they are still rolling out 700mhz in some rural areas, but things seem pretty good to me these days. I was upset with AT&T and switched to T-Mobile before they had good coverage for the amount I travel. I figured I would just live with it until they caught up. I’m pretty happy with coverage now. Isn’t AT&T shutting off their 2G network soon? Q1 2017? There was a time I experienced 2G roaming on AT&T in rural areas with no coverage, but now all my phone says is No Service when driving on highways and even the Interstate in rural parts of the American South. Who are TMO CCA Partners(roaming) in the U.S.? As others have stated, Coverage > Speed. In lab conditions it is easy to create such amazing speeds, however in the real world unless you are standing less than 100 feet and line of sight from a tower, ain’t gonna happen. 256QAM is not reliable without a STRONG and CLEAN signal. T-Mobile’s backhaul would also need some serious upgrades to support such fast speeds without major congestion. Coverage is worthless without speed. You need both. Being on Verizon in congested areas is also useless. And Verizon’s coverage-centric network design is inherently more prone to congestion, with the towers being more spaced out. There is no ideal carrier. The best solution is to carry a hotspot or tablet from AT&T or Verizon, if this is an issue. Yes, T-Mobile still needs to improve their rural coverage. And I’ve also recognized their need to improve the robustness of their network – in fact, I would label them the most ‘Consumer grade’ (as opposed to Enterprise grade) network of all 4 major US carriers. But don’t decry their urban/suburban performance and usability, which really IS good, and often beats all other carriers (such as where I live – according to both Root Metrics and my own experience). Verizon is simply unusable by me and their customers keep buying the hype. I don’t get it. T-Mobile used to be a sacrifice of service for monthly cost (not so much now) but how people get terrible service and pay more I’ll never understand. Same here. Verizon dinged me with a $400 credit check charge three years ago. Last year, I thought hard about getting the Lumia 735 from them. I thought better of it and decided to remain where I have been ever since Alltel was killed off – on T-Mobile. I can’t believe you switched away, Jay! I’ve seen you on here for forever! Why wait? Pay it off, sell it on Ebay or CL, and be gone. You will save more that way. A lot of people have issues with Verizon in my area. On Aiken County side of Williston, a lot of phones drop calls and data on Charleston Highway between Wimpy Road and Pearl Lane. My ex cannot get a signal at her residence on Georgia Highway 24 in Statesboro. She is on Verizon. The Ruby carrier isn’t all they cracked up to be, huh. Another option is dual SIM…with ZTE’s Axon 7 you can get Verizon and T-Mobile with VoLTE and B12 on one phone…really nice if you’re a rural person. Red Pocket has an annual Verizon plan ([per month] 500MB fast data, 500 slow and 1000 texts and minutes) for $199/yr. which pairs really well with the T-Mobile $30/month plan IMO. Having driven from San Diego to St Louis this month, I can tell you there are definitely areas where I would be happy with 1 bar and an E. Yes on existing systems more speed can help with jittery video, but to get actual service you need a tower. You can have terabit 10G for all I know, but I won’t be able to use it without a tower. As others have stated, Speed = Capacity and Coverage is nothing without Capacity. I have the exact same concerns. I thought a few months ago that my baseband had been upgraded to support 256 QAM, but I’m not so sure now: rather, it may be just others who are running newer phones were able to use it. Cox here is running 256 QAM and wants to upgrade to something like 4096 or higher. What they have now isn’t that reliable (data is more reliable but maybe using lower-order mod). I just can’t see how its supposed to work over open air, point to multi-point, much less IN MOTION. I for one hope to be proven wrong on this and these things can be overcome, but as you said, there is a world of difference (literally) between the inside of a Faraday cage and big, bad, noisy world. Yet they still don’t have complete coverage on the NY state thruway or taconic state parkway. Similar situation in Paramus, NJ, driving on Midland Avenue, no signal. Just notice a new tower build right behind KFC. There has to be some tech out there that will allow T-Mobile to expand their wireless signal from current towers using the spectrum they already have; even if wireless signals are expanded by only 10-30%? I know they need the 600MHz spectrum. I know they need more towers. I just wish they could push that signal out further for an immediate coverage boost. I am driving in the city and on highways, and my phone will show LTE with 3 or more bars, but my music and/or video freezes on my iPhone 6S Plus as if I have no coverage at all or my phone will drop service altogether and my phone will read “No Service”. I’m hoping for a coverage boost in 2017. Sprint has the best spectrum portfolio of any carrier. It’s just utter mismanagement that has held them back. They already have 700 MHz spectrum for rural coverage which is supported on the 6S. They are running LTE channel 12 for larger area coverage. I’ve noticed significant improvement in the last year. Certainly still many holes, but they are pretty close to AT&T and Verizon’s coverage now. Friends with AT&T are hitting holes in the same places I run in to with T-Mobile. The problem is the 700MHz spectrum was not available for use by T-Mobile US in every area because of squatters refusing to sale, other spectrum owners utilizing the A-Block spectrum or no roaming agreements with those regional wireless carriers. LOL. Gigabit is stupid on a network that throttles heavy use. I get up to 100mbps now and nothing I do on my phone needs that. Mobile hotspots might be a good application until you hit the cap after a short stint of heavy use. I would love to know what’s going on with band 12 in SC. Not sure but Columbia and Lexington in 2016 compared to 2015 was like I had a different cell company. Much improved! No deployments until January 30, 2017 at earliest. I used the Lumia 640 to check for Band 12 and nothing thus far. Blackville really needs it. Phoenix, Las Vegas, San Diego were all “supposed” to get 700MHz band support by end of 2016. There’s only 2 more days left and don’t see it happening. Amen to that!! I don’t think TMO will get this done in time. Does anyone have the inside scoop on this? Flip the switch for San Diego and Vegas already. Was in San Diego about a month ago. Didn’t see it then. Doubt its up now. Usually I see some reference to it in tmonews. It’s not up yet. This I can confirm. I have friends in Coronado who are getting lousy coverage. They are dying for some 700MHz love. YES! They work at North Island. When they are inside, they get nothing!! Was in the Carlsbad area close to the ocean. 0 (zero, nada) bars. Forget data, not even voice. That’s sad. Probably my worst in about 12 years w/ them. Fortunately I don’t go there often! I’m in vegas and it’s sad that the roll out has taken this long. It will be nice when band 12 and 2 are lit up not only for the strip but for all of vegas and Henderson. T-MOBILE needs to improve overall coverage outside of cities and major Interstates. Traveling from DC to New York there are massive holes in their network. As well as from Kaneohe to Honolulu to Hawai’i Kai you go from LTE with three bars to no signal. Signal in Maui and on the Big Island have gaps that are unbelieveable in size compared to AT&T. Fix what you have before trying to grow larger. I was just in Maui yesterday, and everywhere we drove, my T-Mobile coverage was way better and way faster than my friend’s iphone on ATT. He is now going to switch after seeing the performance. Where I did have a hole, he had a hole as well. A whole 12 towers..? Wow. You know, when T-Mobile launched on Hawaii as “VoiceStream” I learned they had to build more towers because the airwaves didn’t travel as far. Well, there are huge numbers of massive a holes in DC and NY- it is not t-mobile’s fault. They asked the guy in the lab how to improve coverage. “Build more towers” he said. Now he’s just working on the next assignment. Depends if it’s capacity or coverage itself. These days, tower companies own the towers and are very eager to lease. However, t-mobile’s maps show coverage sometimes 200 feet above your home; or outside the building you work at. In those situations, in-building coverage would help but t-mobile would rather you pay for the internet connectivity and set it up yourself. The ER LTE is much much slower than the regular LTE, so only if you need more towers for better building penetration, but actually using it is painfully slow. Can you provide more details? Is it the download speed that gets affected? How about the ping speed? Think of it like this–for data services, you pray for Edge when you have 1-2 bars of Band 12 LTE, because it would at least be stable.. slow, but stable. Band 12 has terrible latency from what I experienced. Its primary use at this time is clearly voice calls and texts to keep customers at very least able to call people, and even voice calls get choppy on it using VoLTE. In short, the bandwidth is barely enough to carry simple voice over, and good luck with any data services. It could be where I was and the tower I was on, but that’s my experience with it. Hope that sheds some light on the topic for you. Do you have a job to go to? Who bets that the next Uncarrier thing-a-ma-jig being announced on the 5th will only be applicable to the T-Mobile One customers who are paying way too much already. They want everyone to switch to the higher plans so anything announced will probably not apply to the masses. They never took it away. I was told that if you already had a Simple Choice plan (Which I do) you can keep it forever, BUT, if you are a new customer, there are no more Simple Choice options, that you either get a form of T-Mobile One of nothing. So for example, if my parents decided to join up with T-Mobile once service Improves in south Alabama area, they no longer have the option of 2 lines of 2GB for $80, they only have the option for T-Mobile One for 2 lines at $120. They wouldn’t even use all 2GBs available, so talk about a waste of money being forced to pay for unlimited. They still have the 2 lines for $80 with 2GB each, you have to do it in store or call. Last month my bro-in-law switched to 4 lines for $100 with 2GB each ($50 + $30 + $10 + $10), he was on the 10GB plan for a little bit but didn’t need that much data. problem is most of the latest hardware deals like $0 iphone 7 from black friday can only be taken if you have the tmobile one plan. So if you stick with the old plans, you cant take advantage of them. that’s why they introduced kickback if you don’t use more then 2gb on the new 2 for 100 with taxes included could actually wind up still being 80 dollars if you don’t use a bunch of data! Agreed. They will have to pry my simple choice north america promo with corp discount from my hands or finally make tmobile one corporate discount compatible. The corporate discount won’t be compatible . Why would a for profit company give an additional monthly discount when unl just cost 95 dollars before tmo one so that’s a 20 dollar drop then you can sign up auto pay 5 extra off per line and then taxes /fees included should be pretty darn close to your promo depending on which you on! Not at all. Eventually they will have to consider that base again. There are a lot of corporate discount customers hence why they had to retract ending it a few years back. Also all other 3 carriers have corp discounts that aren’t legacy. They will have to do something eventuslly. I’m lost on the Tmo one being more expensive , unless you have the old 20 dollar unlimited feature, which would be 70 a month you are saving 20 dollars compared to current single line simple choice unlimited with the 14gb of hotspot is 95 dollars??? If you are on a grandfathered plan you can’t say everyone is paying to much . Well, I have 2 phones unlimited, 6 GB Tethering included for $100. One would cost me a LOT more. Just like other’s I have the older simple choice 4+1line(added free line blackfriday of 2016) North America plan (5lines)unlimited everything with 14 GB MHS for each line for 150+15% corporate discount=127 +tax. I can stream Netflix 4k to my Roku and youtube 1440p HDR on my lgv30at no extra cost.And oh the speeds in the comfort of my living room averages over 140 MB DL to boot.I will for sure keep this plan for as long as possible. When’s band 66 being deployed? They need to fix horrible speeds in Long Beach, Cerritos, Bellflower and parts of Norwalk California. Just terrible speeds in big Southern California cities. Wow when I went to long beach area in April it was fine but then again I was not their during rush hour. Maybe when CA secedes and joins mekicko, they will ‘fix’ it. Too bad they are playing a corporate version of “let’s not and say we did”. They’ve claimed at least one area in SE Idaho ha’s had LTE for almost a year, but every time I visit, NOTHING. I lit John and Co. up on Twitter complete with personal location screenshots compared to their official coverage map and even crowd-sourced data from OpenSignal and Sensorly. Their only concession was a $10 bill credit and a service ticket. I’d be interested to hear where else in the country they’re CLAIMING coverage but not delivering. The entire Hwy 22 from Salem to Bend Oregon. The map shows it covered, but coverage stops 10 miles from Salem and comes back 10 miles from Sisters, then stops again until 5 miles from Bend. I remember seeing a similar video on YouTube. It was published by ClearWire. This was before John Legere was CEO. ClearWire’s video was more accurate and useful because they disclosed 1GB speeds on 10Mhz of Spectrum… then also pointed out that Clearwire has 120Mhz of this spectrum. To prove they were mobile, the video showed the test occurring in a van and driving around. For all we know, with all those wires, t-mobile’s test isn’t wireless. T-Mobile can’t scale like ClearWire and Sprint can. How can they do that with only 10 mhz of spectrum? That was the video! This was about 2 to 3 years ago. It’s was still WiMax at the time, all that broadband frequency been converted to Lte so is imagine they can do more with less spectrum. So does the 313m pops including roaming coverage? It does include LTE service partner which doesn’t count against the 50mb domestic roaming limit. Test inside a controlled environment are meaningless, the world already knows 1GB speeds exist. I actually get 20-30 most parts of manhattan, NY. in queens is where the data gets slooow.